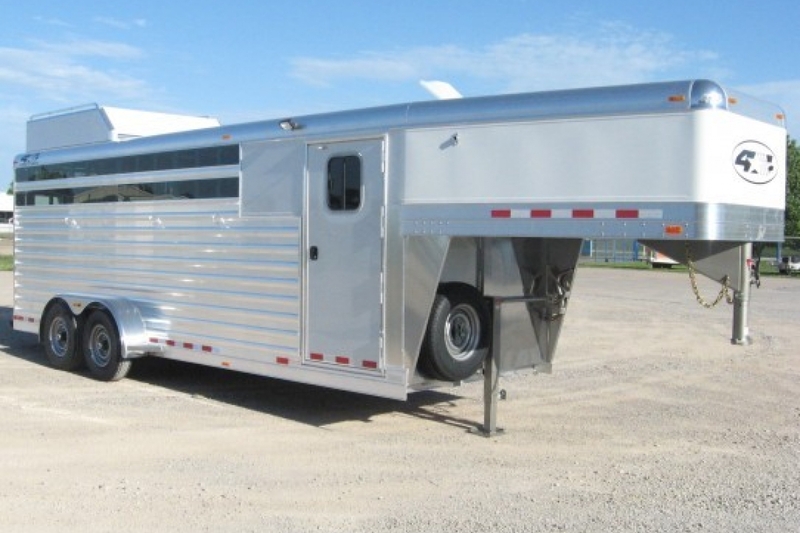 4 Horse Model - 22' x 6'7"
Photos shown with optional equipment. Dimensions are approximate. We realize that every person is unique, with different needs and interests --- so we focus on each customer as an individual and make sure to customize every trailer to match the personality of its owner. Photos shown are of custom trailers and may display available options. Front Dressing Room 24" x 78"
Last Stall 114" x 60"
A pair of combination stop, turn, and tail lights mounted on the head rail at rear of trailer.